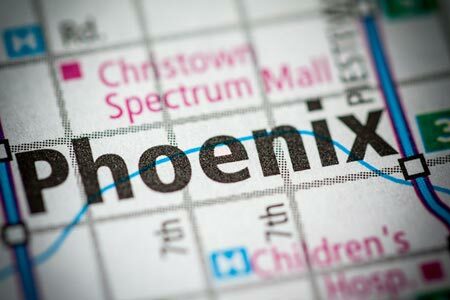 Phoenix, Arizona—Four people were transported to a hospital on Tuesday after a car jumped the curb and struck several people who were waiting for a bus. Accident investigators with the Phoenix Police Department have not released the identities of any of the victims as they continue to search for the cause of the accident. However, a spokesman for the Phoenix Fire Department reported that a seven-month-old girl suffered head injuries, an eight-year-old boy was wounded in the leg, and a 30-year-old woman sustained unspecified injuries. The 62-year-old man driving the car was taken to the hospital for observation. The accident occurred at 19th Avenue and Camelback Road around noon. We wish swift and complete recoveries for everyone.